It seems Wisconsin U.S. 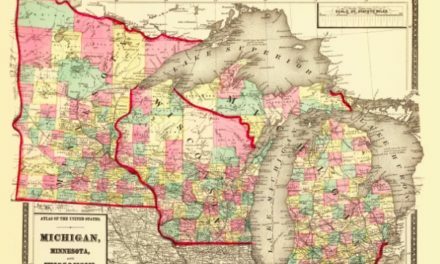 Senator Tammy Baldwin (D-Madison) and several of her Democratic colleagues in the Senate have issues with federalism. Rather than fight for changing a public policy they hate in 50 states, Democrats appear satisfied to use the federal government to shut it down completely. 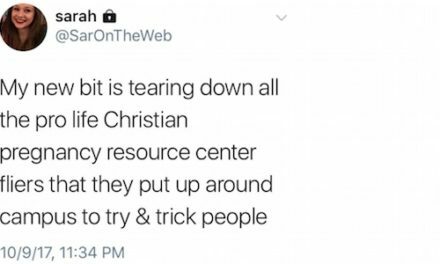 It’s what’s been done with federal policy towards abortion. It’s what’s been currently attempted in federal policy with health care. So naturally, many of the most progressive members of the Democratic Senate Caucus in Washington, D.C. are trying to do it with another area: Labor laws. Especially right-to-work laws, where a second wave of passage in traditionally union-friendly states has worried organized labor enough to get pro-labor senators to introduce a bill which would ban all right-to-work laws in the nation. Leading the effort is Massachusetts Senator Elizabeth Warren, but among her co-sponsors is Baldwin. Senate Democrats introduced legislation Wednesday to repeal all state right-to-work laws, arguing that the laws, which prevent workers from being forced to join or financially support a labor union as a condition of employment, are wrong because they make it harder to form unions. “So-called right-to-work laws give corporations the ability to trample workers’ rights and dismantle unions. I refuse to let that happen. At a time when Americans are working harder and earning less for the time they put in, we should be making it easier for workers to raise their voices and bargain for better wages and safer working conditions. Right-to-work is really right to work for less,” said Sen. Sherrod Brown, D-Ohio, a co-sponsor of the legislation. Sen. Elizabeth Warren, D-Mass., is the lead author. The National Labor Relations Act was passed into law in 1935. It is commonly known as “The Wagner Act.” As part of the Second New Deal, it’s best known for creating the criteria for closed shops, union shops, open shops, and other forms of the workplace as well as allowing for collective bargaining between labor and management. Subsection (b) of section 14 is commonly known as part of the “Taft-Hartley Act” which allowed for right-to-work laws to be passed. Right-to-work laws, if passed in an individual state, make forced unionized shops (also known as “Closed Shops”) illegal and gave employees the option of going union or not. Shortly after the passage of Taft-Hartley in 1947 came the first wave of states passing right-to-work laws. Right now, 27 states have right-to-work laws on the books. Missouri; which passed a right-to-work law earlier this year, has currently placed its law on hold pending the result of a labor-backed referendum scheduled for 2018. The fight over Wisconsin’s own right-to-work law ended on Tuesday when a state appeals court upheld the law. The decision overturned a Dane County Circuit Court’s ruling from last year, eliminating the last legal challenge to the 2015 law. 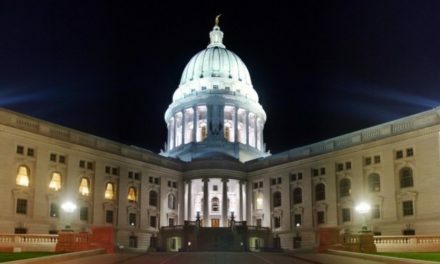 What Baldwin and her Democratic Senate colleagues want to do is circumvent the will of the Wisconsin State Legislature all at the behest of Big Labor. This was criticized almost immediately by one of Baldwin’s 2018 Republican Senate rival. In a press release, state Senator Leah Vukmir (R-Brookfield) called out Baldwin for siding with union bosses over Wisconsin workers. 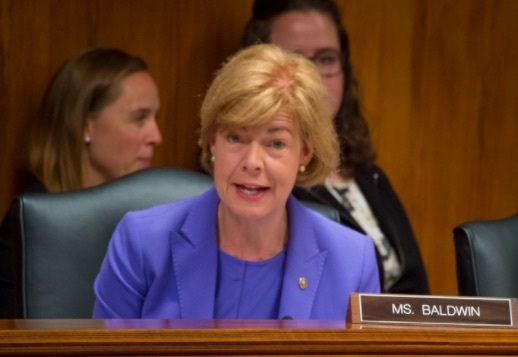 “Once again, Tammy Baldwin says one thing and does another. She says she wants a ‘Made in America’ economy but then supports a bill that prevents that from happening. 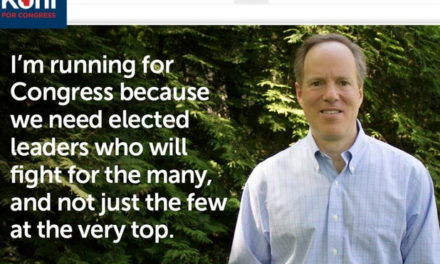 Businesses will not stay in Wisconsin if Tammy Baldwin has her way; they’ll flee. “We have vastly improved our state’s economy. Gov. Walker and I have worked together since 2011 to make Wisconsin open for business. We made Wisconsin’s job climate friendlier by ensuring workers are no longer required to join labor unions. Because of Right-to-Work, businesses want to come to Wisconsin — take Foxconn for example. “Government should not force people to lose more of their hard-earned dollars through union dues when taxes are already gouging their paychecks. Since being elected to Congress in 1998, Baldwin as collected over $1,173,000 from labor unions according to the Center for Responsive Politics. Baldwin recently signed onto Senator Bernie Sanders “Medicare for all Bill” which is considered by many to be Universal Health Care. Baldwin is considered the most vulnerable first-term Democratic senator to support the bill.